A particular 2010 Toyota Hilux has created quite a stir, when it sold online for a hefty price. Although the Hilux line of vehicles from Toyota have been well received, this specific vehicle has gained attention for setting a couple of unusual Guinness World Records. 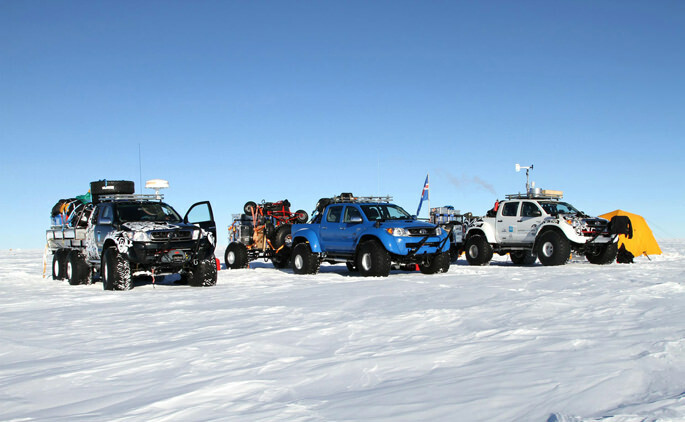 This Hilux set the world record twice, for the fastest run across Antarctica to the South Pole. Considering the rugged terrain and deep freezing conditions, it was a remarkable feat that garnered this particular vehicle considerable fame! The vehicle was even featured on Discovery Channel’s: World’s Toughest Drive! eBay reported that the Hilux sold for $72,000 in the auction. While the owner did receive a Guinness World Record certificate for the vehicle, the Hilux had received a complete makeover. The entire vehicle for one, was painted in NATO green. Many of the modifications were also removed and replaced with more standard ones, for a more pleasing appearance. For such a bargain, it’s likely the new owner will put it up for auction again! 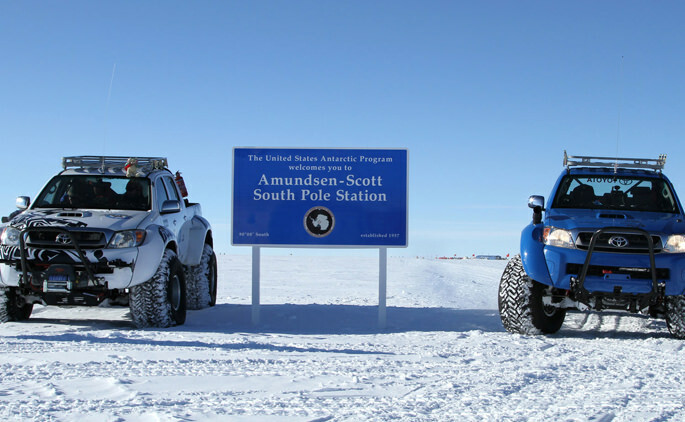 Antarctica’s unique terrain poses a challenge for most standard vehicles. Consequently, the Hilux underwent a series of modifications prior to the expedition. 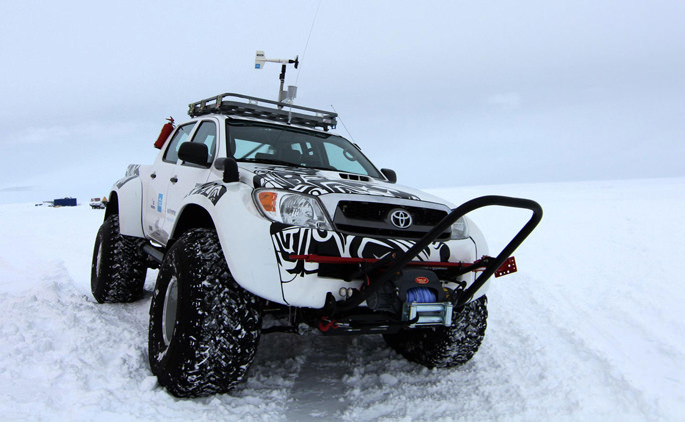 According to several sources, approximately $400,000 were spent to prepare the Hilux for the extreme cold. Fortunately, the overall height and suspension of the vehicle was already well suited for the bumpy, snowy surface of Antarctica. While heavy modifications helped the vehicle withstand conditions, the Hilux squad of three helped set the record! It takes fortitude and willpower to brace sub-zero temperatures in unfamiliar territory. Future generations of car enthusiasts will certainly marvel this feat. Let ScopioneUSA be your one-stop-shop for the best in aftermarket carbon fiber automotive and motorcycle parts and accessories! Whether your vehicle is trekking the South Pole or cruising the neighborhood, you can rely on ScopioneUSA for quality carbon fiber auto parts and car accessories! Although carbon fiber only weighs a fraction the amount of steel, it is much stronger and impact resistant. At ScopioneUSA you can find carbon fibre spoilers, bumpers, and grilles along with accessories for the lip, hood, and trunk.